Workers load gravel, dredged from the river bottom, onto truck for transportation. 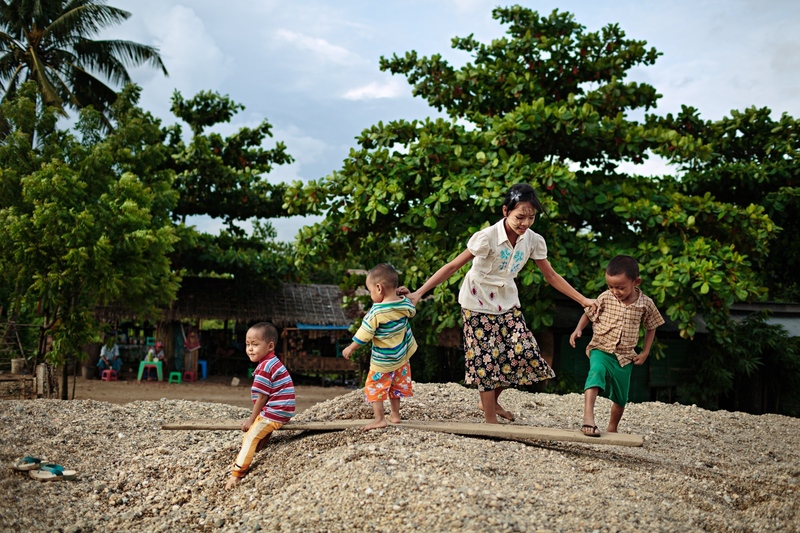 A young girl watches over children while their parents work. 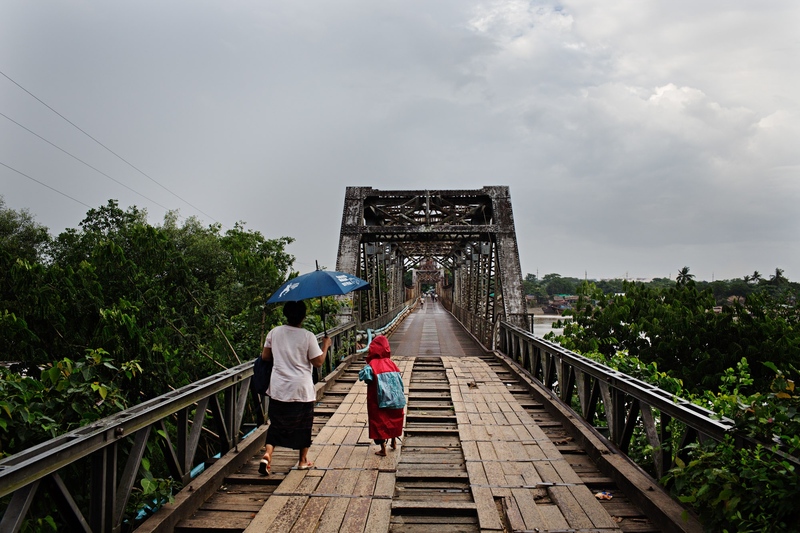 People walk across the bridge that leads to the gravel mining area. 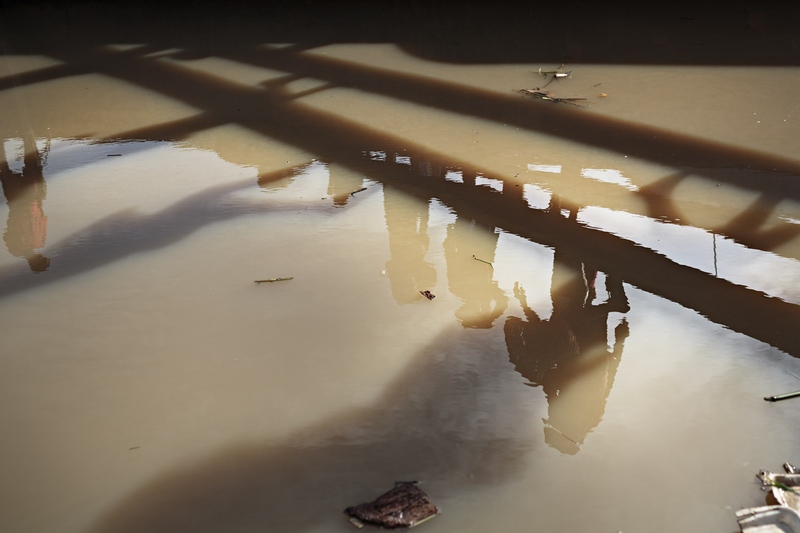 Reflections of workers carrying gravel and sand from the bottom of a dredging boat to waiting trucks via planks resting on the boat and the river bank. 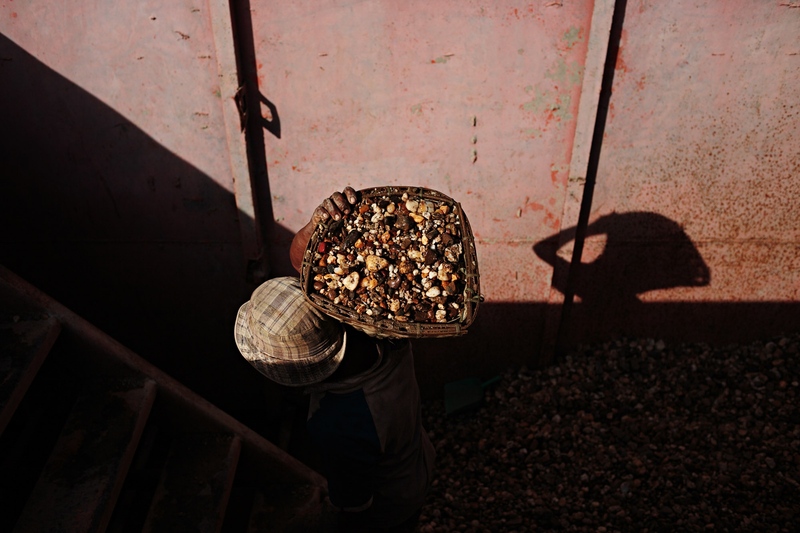 A worker carries a basket of gravel up from the bottom of a dredging boat. Workers try to fix a pump system for dredging. 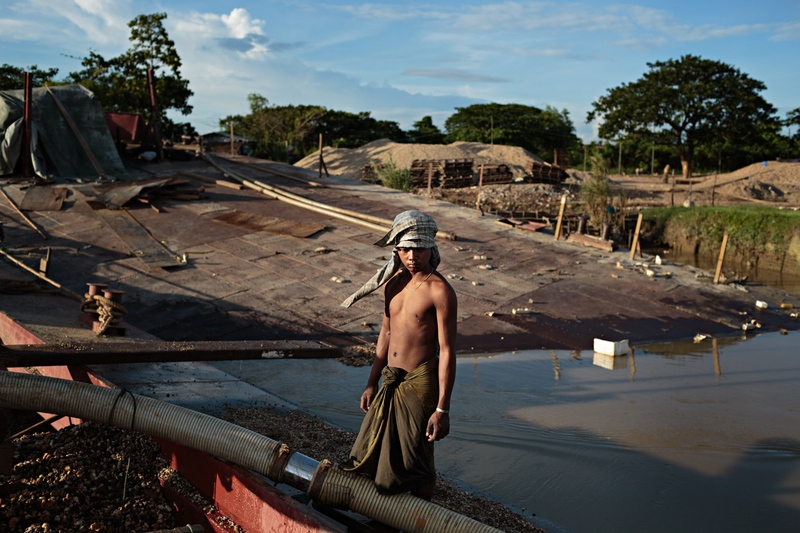 A young man pauses for a moment while working on a dredging boat. 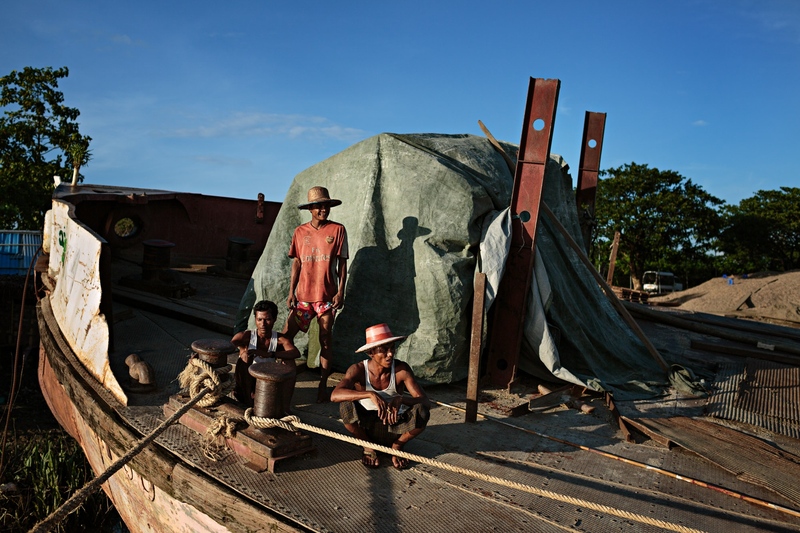 Three men monitor mooring lines from a dredging boat. 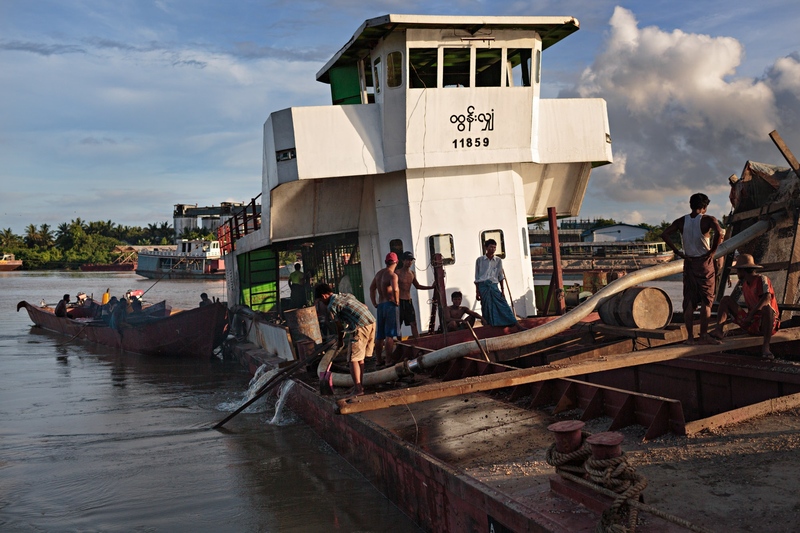 A dredging boat fills its cargo hold with sand and gravel. During this time, there isn't much to do so workers rest, talk or smoke and chew betel nut. A boat makes its way down the river, loaded down with gravel. 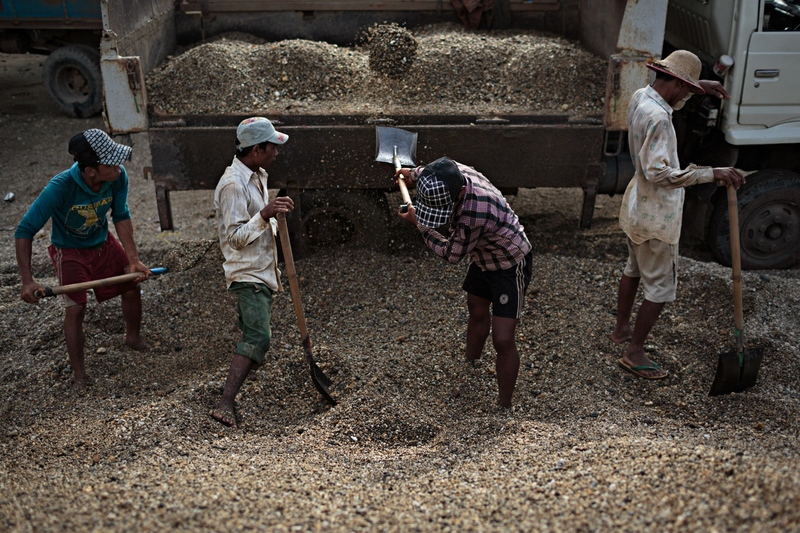 Sand and gravel mining is rampant in Myanmar. The use of these materials is widespread in the development of roads and buildings and crucial to developing countries. 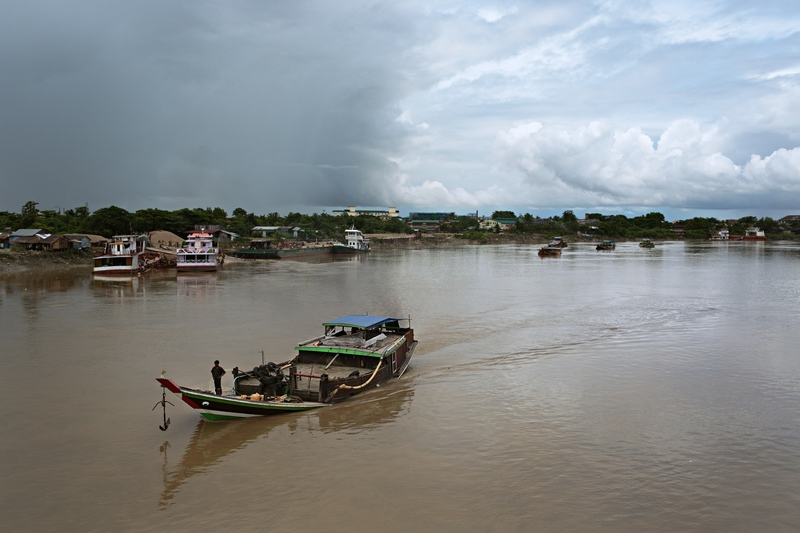 The work is very difficult, low paid and the dredging results in erosion and damage to rivers. The industry is not well regulated and therefore many illegal operations are started, which results in even lower standards.